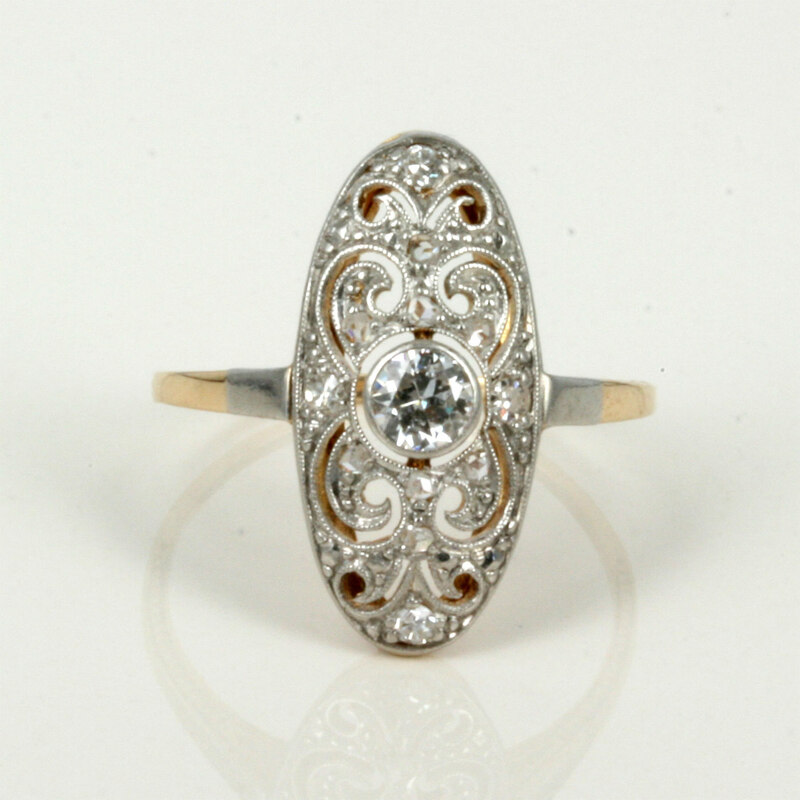 Art Deco diamond ring in 14ct gold and platinum. Product code: 1516 Categories: Sold Items, Sold Rings. The Art Deco period of the 1920’s was able to produce some truly magnificent designs in jewellery including diamond rings such as this one. Hand made in 14ct yellow gold and platinum, this wonderful ring has the most fine pierce work on the top, all highlighted by a total of 13 diamonds giving this ring so much sparkle. The diamonds total 0.42 carats, and the setting will just keep you captivated and always looking and admiring it closely. This is a very fine and elegant example of Art Deco diamond jewellery and will always be admired.